It’s getting to the time of year when we think about having the ‘Big Spring Clean’. The box room, shed, and garage are all earmarked for a deep cleanse, getting rid of those old kid’s toys, ill-advised sofa, and a 1970’s style cabinet all your friends found amusing. Whilst the idyllic image of an actually usable garage grows stronger, a flyer comes through the door offering to pick waste up from your house for an extremely reasonable rate. 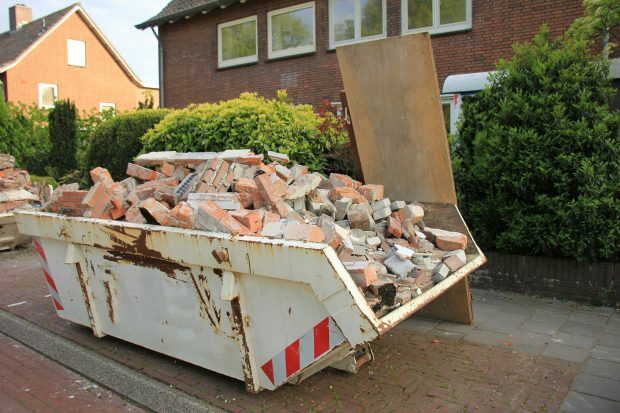 It would be a lot of effort to take it to the local tip yourself, and it’s a lot cheaper than hiring a skip. Sounds too good to be true, but you give them a ring and the helpful person on the phone confirms the price and pick up time. You roll your sleeves up and get cracking, and within a week, there is space in the garage for the car again, and all that waste has been collected of and disposed of properly. Probably. I mean, they are a proper company so they’ve done the right thing haven’t they? Next thing you know, your friend sends you a picture of your 1970’s cabinet, only now it’s sitting on top of an old mattress next to the local river, along with tonnes of other waste. ‘You’ve got one just like this haven’t you?’ your friend follows up. Only you know that yours was ‘disposed of’ only a couple of days ago. Maybe someone else had the exact same one as you and coincidentally dumped it? Or does that slight feeling of fear, regret and worry suggest that quote was too good to be true after all? Perhaps your waste sofa, old clothes and kid’s toys are now part of the problem of illegal waste dumping occurring around the country. Did you leave any old junk mail in the drawer with your name on? Maybe a reporter will come knocking on your door asking how your cabinet ended up causing a blight on the landscape. Your waste is now part of a rotting pile, causing an eye sore, terrible smell and is now home to rats, circling seagulls and countless potential accidents if children decide to investigate what’s in there. The river is polluted from some dodgy looking cans, dead fish wash up downstream and suddenly your cabinet is appearing on the TV and in the papers. Surely someone can just throw it all in the back of a van though? Unfortunately it’s not as easy as that. Only the illegal operators know what’s been dumped there. It might not just be your cabinet, it could be mixed in with some clinical waste and sharps, hazardous waste such as chemicals or even asbestos. Would you fancy picking all that up? Clearing illegally dumped waste is a huge drain on resources, the local council and the Environment Agency. The economic impact of waste crime in England is over £600m a year, the average price of a skip is £184. £600m could build a new hospital - and staff it, if together we managed to stamp out this activity. 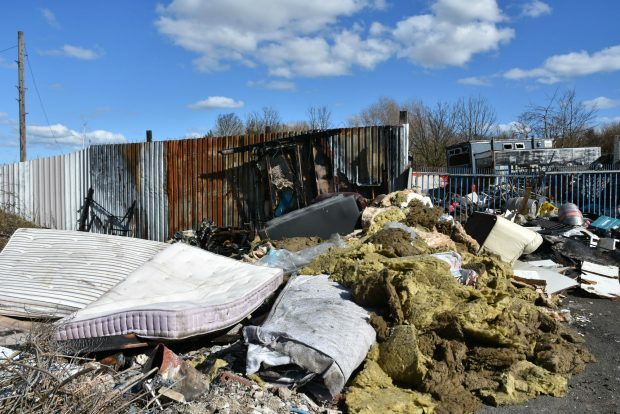 In 2016-17 household and commercial waste was the primary waste type identified at 37% of illegal dumping incidents, and 27% of illegal waste sites that the Environment Agency tackled. But there’s not much you could have done about it right? It’s not your fault! Well, a recent change in the law means that if you are found to be complicit in the illegal dumping of waste, you could be liable for Landfill Tax, or prosecuted alongside the actual illegal operators. So, that junk mail addressed to you in that 1970’s cabinet could land you in trouble. If you pay someone to remove rubbish from your property and it’s then illegally dumped you could be prosecuted. There are some simple steps that we would ask all householders to think about when giving your waste items to someone else to dispose of, whether you have paid them or not. Check they are a registered waste carrier. Ideally they should have a copy of their registration documents on them, ask to see these. You can check their licence number at environment.data.gov.uk/public-register, or call 03708 506506 and we can check for you. And remember, if their quote seems too good to be true, it probably is. Make sure you get another quote to see if it’s in the right ballpark. Taking these steps will help us all work together to deter the waste criminal and reduce illegal fly-tipping and dumping that are a blight on communities and cost thousands to clear up and make safe.